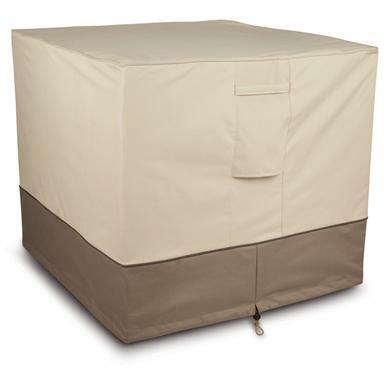 EXTRA heavy - duty Classic AccessoriesTM Veranda Air Conditioner Covers. Keeps rain, snow and leaves out of vents in off-season to keep your unit at peak efficiency! Classic Covers are made thick and durable to shrug off the kind of freezing temps and abuse that would send a lesser cover to the rag pile. Choose Round or Square, as available in the Shopping Cart. Fits: Round units up to 34" diam. Fits: Square units up to 34 x 34"
Measures: Measures 34"w. x 34"l. x 30"h.
Classic Accessories Veranda Air Conditioner Cover is rated 4.8 out of 5 by 43. Rated 5 out of 5 by Jules09 from Very Nice Product Just purchased for a winter covering. Very nice quality and detail. Fits perfectly and has good straps to adjust fitting at the bottom if you would like. Rated 5 out of 5 by Kamos from Rugged Material Just got my AC Cover in time for the bad winter weather. Out of the box I immediately noticed the quality of the material, it’s very heavy duty. Cover fit perfectly over my AC Unit and the Cinch Strap holds firm. Great product! I look forward to using some of the other products made by this company in the future as well. Rated 5 out of 5 by Bob24 from Good fit, good looks Just purchased so this will be first season to use, but it fits nicely and was easy to use. Rated 5 out of 5 by Less from Great Fit and Easy no hassel I wanted a cover that I could not have to hassle with tie downs or ropes and this cover was out of the packaging throw in on and zip cinch it also loved the snap that allows you to secure it around the hose from the air conditioner to the house!!! Also first snow two days ago and the water after elting just beaded up great waterproofing. Rated 5 out of 5 by Higgy from I would buy this product again. Thick durable fabric. fits! I am using it for my portable fire table and it works great! 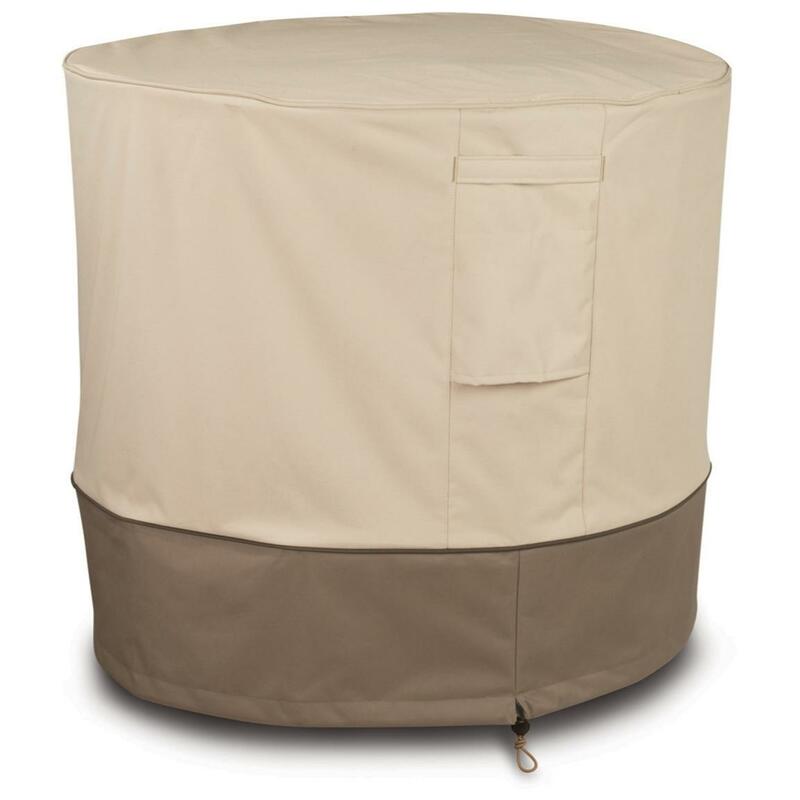 Rated 4 out of 5 by Kapper from Fire pit cover We had trouble finding a cover that would fit our fire pit. This product worked well. CASTLECREEK 3-Panel Air Conditioner Screen, 60"
Each panel measures 31.75" x 60"h.
The charming disguise for that ugly AC unit.